Welcome to Night in the Stacks, the Associate Board’s lively celebration of the one and only Chicago Public Library! Our Associate Board’s annual fundraiser sells out every year—and it’s not hard to see why. 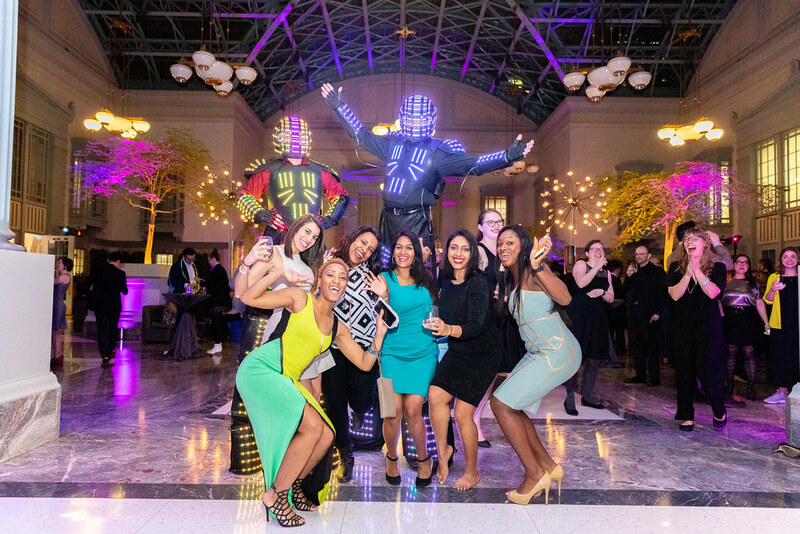 Under the massive glass dome of the Harold Washington Library Winter Garden, this unique event transforms the space with music, dancing, food, drink, photo booths, and noise! All proceeds from the event help support the Foundation’s partnership with the Library, which makes possible award-winning programs that serve Chicagoans of every age, including the Summer Learning Challenge, the CyberNavigator computer tutors, Teacher in the Library, and more.